Parity Check: Is Slack Becoming a Core Tool for Developers? The New Stack uses Slack, and we agree with Walt Mossberg’s recent column that asserted messaging service is great but needs improvements to make it truly invaluable to the enterprise and distinguish itself from other communication/collaboration software that has been hyped in the past. Slack‘s growing developer user-base may be the key to success in helping meet the service’s $3.8 billion valuations, assuming that developers are the new kingmakers and that the elite living in Silicon Valley have a disproportionate level of influence. 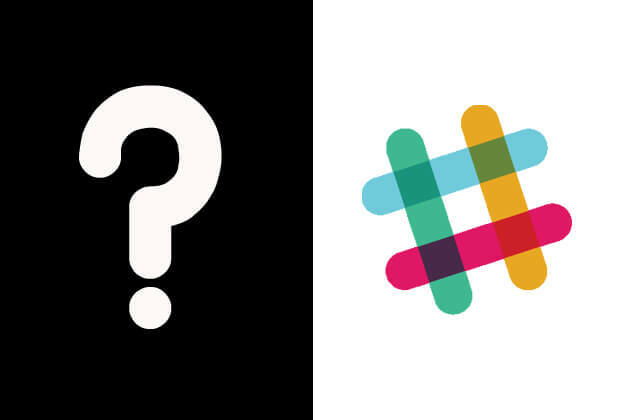 But is Slack becoming an essential tool for developers? Let’s take a look at the numbers. The comparisons are not exact, but both Twitter and Slack rose to prominence not just because they had something to new to offer the world, but also because of open APIs and a developer-first approach to their products. Constellation Research analyst Alan Lepofsky told CMSWire that Slack is a “product that struck at the right time” and that the company has succeeded at least in part by letting developers integrate it into their other systems. Without that focus, it is just an updated IRC app or a competitor to Microsoft Skype/Lync. Slack realizes this is essential and just a few months ago established a special VC-like fund to invest in projects and companies producing products that will eventually become part of the Slack ecosystem. Before going any deeper, let’s do a reality check by comparing Slack adoption stats to AWS, GitHub, Twitter and Dropbox. Twitter is included because of its history as being developer-friendly, Dropbox is included because of its underwhelming attempt to convert viral adoption into actually paid business from enterprises. Slack has 2.7 million daily users. Twitter has over 100 million daily users. Last year, Dropbox had 400 million users. GitHub has at least 12 million users, and Twitter has 320 million. If Slack’s ratio of daily to total users is 3:1, then Slack would have 8.3 million users. A year ago, AWS had over 1 million customers. In 2015, AWS had almost $8 billion in revenue. As of March 2016, Slack has $64 million in recurring annual revenue. According to Benn Stancil, Slack stands with AWS and GitHub as primary hubs in the developer ecosystem. Benn utilized data from StackShare, which collects peer-submitted information about applications used by developers and the companies that employ them. Using graph analysis, he took the number of companies using a technology and linked them with lines that indicated how often companies were using the two applications in tandem. After EC2, GitHub and Slack, many of the other big nodes are programming languages, not applications. See the interactive version here. The data is based on people that self-selected to provide information on StackShare. Without having access to the API, I assume the respondents tend to work for start-ups and front-end developers. If this is true, the results may skew away from enterprise-scale use cases that have often driven tech trends. The volume of developers and companies using a technology does not predict market share. One application might be rated by 50 developers at five companies and another rated by one developer in total. In the real world, the application that is ignored on StackShare may be used by millions of people. Stancil proves his worth as an analyst by not trying to draw market-share conclusions. Instead, the bulk of his analysis focuses on how likely users of AWS, GitHub and Slack are to use additional tools within their stack. One highlight is that mobile and SaaS companies are more likely than those in other industries to use Slack while financial services and advertising are less likely to embrace it. Lagging financial services adoption is likely to due compliance concerns. Despite a recent article AdWeek extolling the benefits of chatbots, my experience researching the use of project management and collaboration software among creative directors tells me that this data accurately depicts advertising industry reticence towards these types of tools. Looking at other the use of collaboration tools like Trello, JIRA and Asana, it appears that they are being used much more often than among non-developers, so Slack does seem to be creating a niche with this job role as the aforementioned industries. 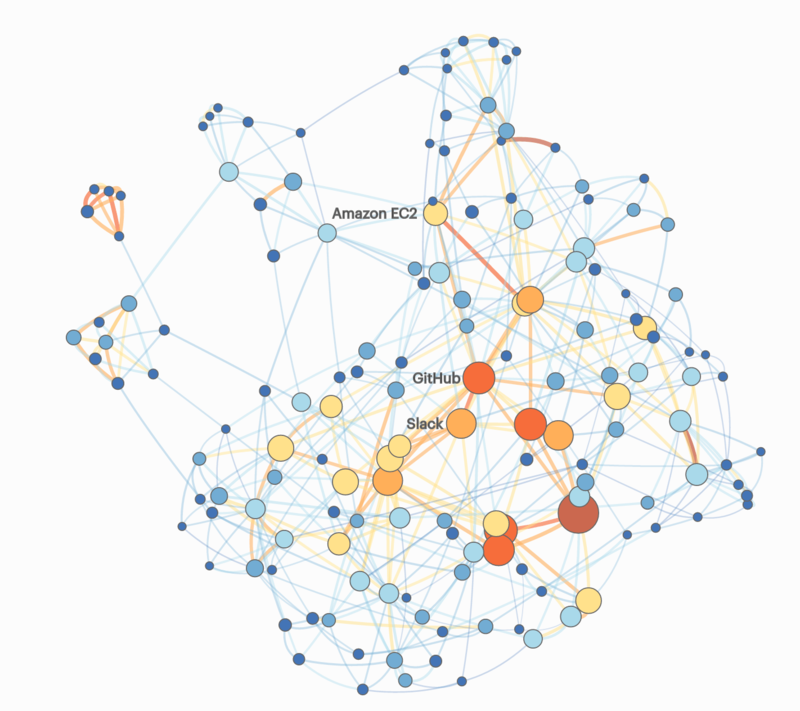 Even more significant is the strong interconnectedness of the Amazon EC2, GitHub and Slack triad. They are very often being adopted in tandem. The use of Slack by AWS EC2 customers in 41 percentage points higher than the entire sample of StackShare contributors and GitHub users’ adoption of EC2 is 34 percentage points higher. This makes some sense because there is a tendency of start-ups to use AWS, and to start with greenfield tech environments based on open source can explain this phenomenon. In the home of the start-up universe, Silicon Valley developers are 12 percentage points more likely, on average, than the entire SlackShare population, while Slack use among developers is seven percentage points higher. What about the rest of the country and the world? While Silicon Valley often leads, that is not always the case. It is possible that Northern California myopia is causing people to overhype the buzz around these applications. 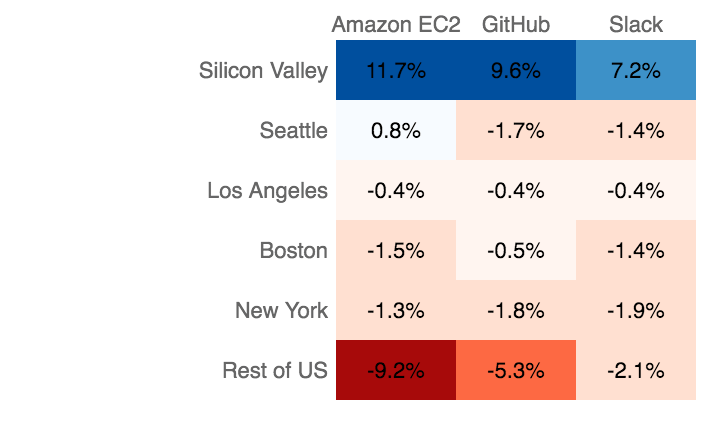 Silicon Valley developers use AWS, GitHub and Slack more often than others. Chart from StackShare. What does this all mean? We can’t predict how well Slack will execute on its business plan. What we can and will do is continue tracking Slack’s importance as the developer community builds the new stack.